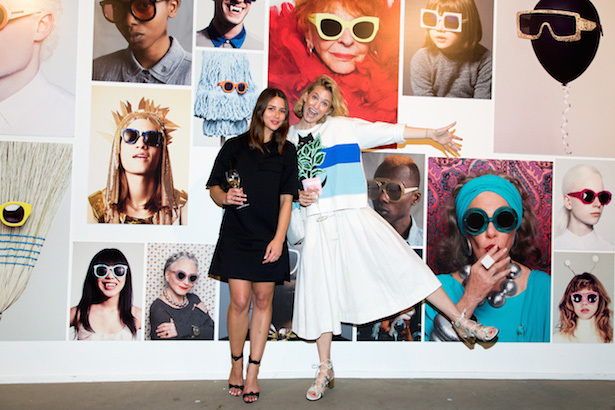 Karen Walker Eyewear celebrated its 10th anniversary last night, hosting a fun-filled event at The Gunnery in Woolloomooloo, Sydney. Big-name faces were visible at every turn inside the historic building’s art space, with designers, models, presenters, bloggers, stylists and actresses all flocking in to celebrate Karen’s big decade milestone. Guests like Sara Donaldson, Zanita Whittington, James Mathison, the Ginger & Smart girls, Danielle Cormack and Tanja Gacic mingled amongst shots from the label’s previous campaigns, which decorated the walls. To make the trip down memory lane that much sweeter, attendees were also treated to M&M-filled cakes, champagne and a DJ. Click through the gallery below to see all the social snaps from the game-changer designer’s big night.